I am an Artist and Art teacher with a passion for conservation and the environment. After travelling the world and working on several islands in the South Atlantic, I could see the effect that the human race was having on the planet. After returning to Wales, I have dedicated my time to educate young people on the importance of conservation. I think the best way to educate young people is to get them out on the water or at the beach – so they can see the impact they have on marine life and fall in love with the ocean, just as I have. Snowdonia is an area of outstanding natural beauty, and I am determined to keep it that way. I am proud to call Snowdonia my home, and I want to inspire and educate the community and visitors to reduce the impact we have on the environment and marine life. I believe that getting the community out onto the beaches and into the oceans will inspire them to protect this area. I continue to use Art as a medium to communicate the SAS message and I am excited to be part of the SAS family. I am particularly interested in research on micro-plastics and how these effect the environment, wildlife and the human body. 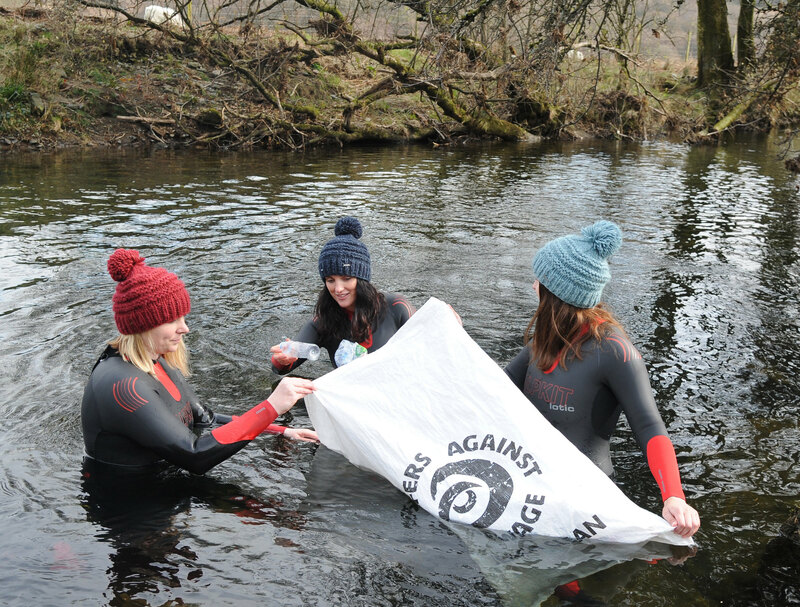 I recently swam the Afon Glaslyn from source to sea testing for micro-plastics as part of the ‘Big Spring Summit to Sea’ series. 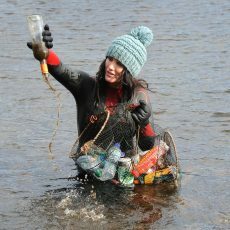 I hope to continue this research and to highlight the impact of single use plastic across Snowdonia.